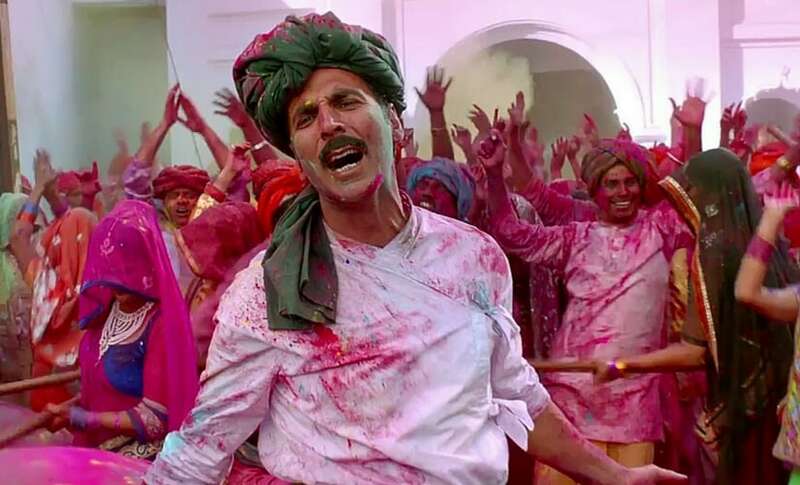 Akshay Kumar's Toilet: Ek Prem Katha, which released on 8 June in China, has completed its month-long theatrical run in the Middle Kingdom. The final gross of the Shree Narayan Singh-directed film stands at a decent $14.2 million (Rs 97.8 crore). Although Toilet... has trumped the cumulative total of previous Indian release in China, Baahubali 2: The Conclusion which took home earnings of $11.9 million (Rs 80 crore), it is still below the final takings of other three Indian releases of 2018 in the PRC — Aamir Khan's Secret Superstar ($118 million; Rs 760 crore), Salman Khan's Bajrangi Bhaijaan ($45.4 million; Rs 294 crore) and Irrfan Khan-starrer Hindi Medium ($31 million; Rs 221 crore). 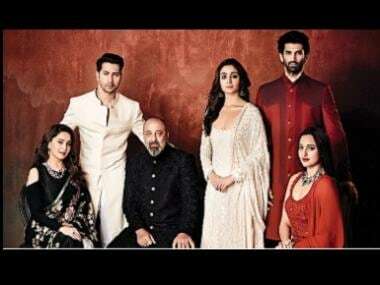 Despite topping the China box office in its opening weekend with a cumulative three-day gross of $9.05 million (Rs 61.1 crore) and managing to hold off competition from Disney/Marvel's blockbuster Avengers: Infinity War, local smash hit How Long Will I Love U and Jean-Claude Van Damme's action thriller Black Water, Toilet... scraped through the second weekend with $13.96 million (Rs 95 crore). In the last 20 days of the theatrical run, the film, which stars Bhumi Pednekar, Anupam Kher and Divyendu Sharma in essential roles, Toilet... pulled in a middling $0.25 million before settling for a $14.2 million finish. The Middle Kingdom earnings of Toilet... has powered the worldwide total of the film to Rs 313.21 crore, making it the first movie of Kumar to enter the Rs 300 crore club. The China gross has also steered the film's offshore total to $18.7 million (Rs 128.6 crore), making it the highest-earning movie of Kumar in overseas markets. It is also the first film of Akshay to breach the Rs 100 crore mark from the international total. Titled Toilet Hero in China, Toilet... is the fifth Indian film to be imported into the PRC this year after Aamir's Secret Superstar, Salman Khan's Bajrangi Bhaijaan, Irrfan Khan's Hindi Medium and Prabhas-SS Rajamouli's Baahubali 2: The Conclusion. Now, the cumulative China theatrical revenue of five Indian films in 2018 has touched a whopping Rs 1452.8 crore ($220.5 million), unadjusted for inflation. While Indian films performed in descending order this year in China, Toilet... succeeded in breaking the jinx by surpassing the earnings accrued by Baahubali 2: The Conclusion which released in May. Secret Superstar, which was the first Indian film to release in China this year, set the perfect momentum for other movies which saw the light of day in the Middle Kingdom, in the subsequent months. The Advait Chandan-directed film finished with an excellent total of $118 million (Rs 760 cr) in 31 days and became Aamir's second highest earning film in the Chinese mainland after Dangal. The film also dethroned Japanese animation blockbuster Your Name to become the second highest earning non-Hollywood import film in the PRC in February. Now, Secret Superstar is the fifth highest grossing import of 2018 in China after Avengers: Infinity War, Jurassic World: Fallen Kingdom, Ready Player One and Rampage. Other Hollywood movies such as Tomb Raider, Black Panther and Pacific Rim: Uprising failed to beat the earnings of Secret Superstar in the Middle Kingdom. Secret Superstar was also the third highest grossing film in China in January and was the highest collecting film in February. Salman's Bajrangi Bhaijaan, which finished its China run with a $45.3 million (Rs 294 crore) cumulative box office haul, survived a bevy of Hollywood movies including the Academy Award-winning titles such as Three Billboards Outside Ebbing, Missouri and The Shape of Water to emerge as the eighth highest grossing import film in China in the first quarter of 2018. As of 8 July, Bajrangi Bhaijaan is the 12th highest earning import film in China. Irrfan-starrer Hindi Medium, which landed in mainland cinemas on 4 April for the five-day Qingming festival weekend, quietly outgrossed the overseas theatrical sales of Deepika Padukone's magnum opus Padmaavat which earned nearly $29 million offshore. Hindi Medium's final overseas earnings stood at a fantastic $33 million, making it the seventh Indian film to sail over the $30 million mark after such films as Dangal, Secret Superstar, Bajrangi Bhaijaan, Baahubali 2: The Conclusion, PK and Dhoom 3.